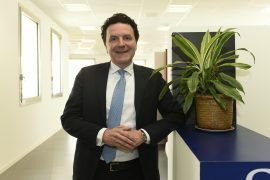 On the back of strong revenue growth, Italy-based payments processor, SIA, has unveiled its 2019-2021 Strategic Plan, reports Martin Whybrow. The tech firm aims to accelerate its recent international expansion and become “the key player in Europe in the field of digital payments”. As part of this, it says it intends to hire over 900 new staff by 2021, “focusing on young people, women and new digital skills”. The strategic goals seek to take advantage of the expected increase in the global and European payments sectors. The global payments market is predicted to grow by 6-7% to 2021, with an increase in digital transaction volumes of 3-5% in Europe. The results for the year-ended 31 December show that group revenues rose to €614.8 million, an increase of 8.4% over 2017. Pre-tax profits increased by 10.2% to €110.1 million, although net-profits were down 0.7% to €79.5 million. The cards segment accounts for 63% of revenues, payments for 19% and Institutional Services for 18%. One reason cited for the strong revenue increase was a significant rise in electronic payment transactions with cards and traffic volumes on the SIAnet network. In 2018, SIA Group processed 7.2 billion card transactions (up 18.1%), 14 billion institutional services transactions (up 6.7%) and three billion payment transactions relating to credit transfers and collections (down 2.4% due to lower non-SEPA payments volumes and reduced activity by foreign bank branches in Italy). By far the largest portion of SIA’s business is still in its home market, with revenues in Italy of €466.5 million, despite a clutch of acquisitions in central and south-eastern Europe. However, while this represented an increase of 3.4% on 2017, the smaller international business is the fastest growing area, with an increase in revenues of 27.9% to €148.3 million. SIA Group had 3,465 employees by the end of 2018, including around 1,400 added as a result of the acquisition of the cards processing business from First Data in central and south-eastern Europe. By 2021, the Strategic Plan aims to achieve consolidated revenues of more than €800 million and a gross operating margin (EBITDA) – which in 2018 was €201.4 million – equal to 32.8% of revenues.